So, what we are as excited about this weekend is the wedding show that we are happy to be a part of! 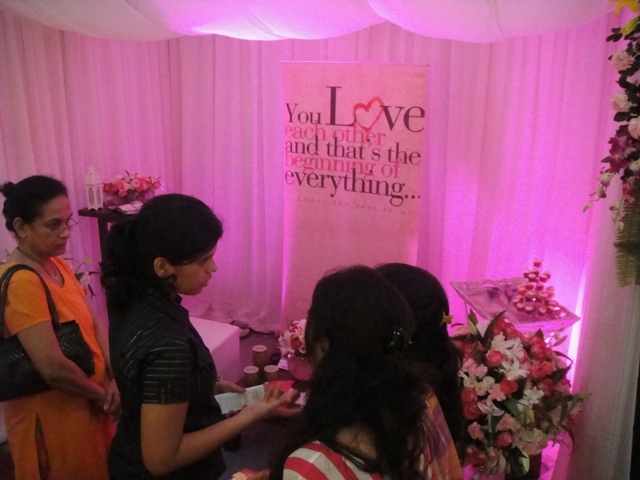 We participate in a few shows and we try to create a different look and ambience for each of them. For this weekends show, we decided on a Moroccan feel. Think drapes in rich, jewel tones, beautiful lanterns with colored glass and similar looking tea light holders, Moroccan tea glasses, brocade cushion covers in vibrant colors and more…. But, you will have to wait till next week to see and hear more of this event. However, I will leave you with a couple of pictures from one of our past events. This was a simple, fun wedding show we did last year. 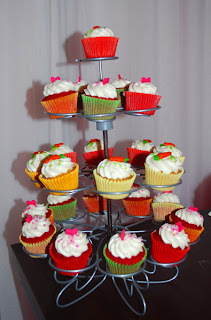 The cupcakes were the most popular attraction of the show! Watch this space for more on our Moroccan décor as well as other interesting finds at the show!